A week ago Sunday, the Seattle Times wrote and article about a foreclosure in The Highlands. The article titled, The Highlands Can't Keep Out Foreclosures, is buried at the bottom of the first article about the proxy fight at Fisher. 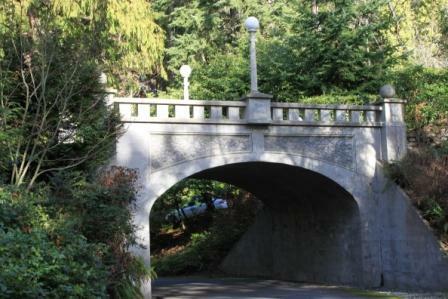 While the article points out the foreclosure, it also discusses what The Highlands has to offer: large lots, view of Puget Sound, privacy, and access to community trails, tennis courts, playfields, beach, pool, etc. And while sales essential stopped (no sales in 2009), since then sales have picked up. With just over 100 homes in The Highlands, 10% have sold or under contract since the beginning of 2010. A dozen homes in The Highlands are for sale now, Powers says — a lot by historic standards, but down from 18 a couple years ago. Why so many? "There were some financial situations, like everywhere else," Powers says. But folks also were selling for all the usual reasons — death, divorce, relocation, downsizing. With inventory high, this might be the time to buy in one of Seattle's great neighborhoods.